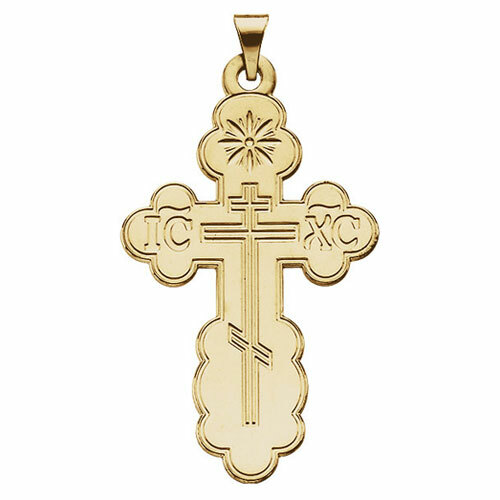 Large die struck orthodox cross is made of polished 14kt yellow gold. 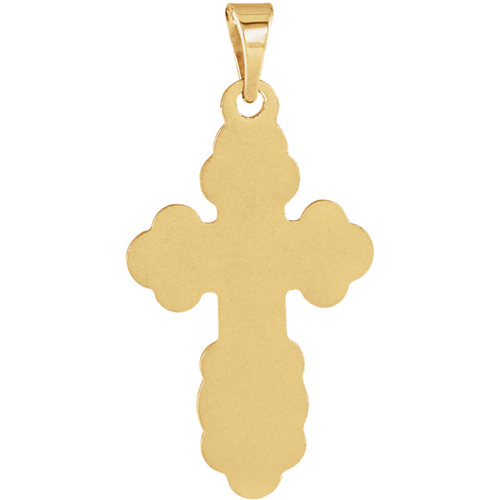 Dimensions: 40mm x 26mm. Weighs 3.08 DWT (4.79 grams). Please note: weight is approximate, actual weight may vary. Chain not included. Bail size: 4.0 x 4.5mm. We recommend a chain no thicker then 3.5mm.